A while back we featured the Eyelighter by Westcott. It gives really gorgeous catch lights and helps to provide fill and light from the bottom. A little after we saw a first DIY version of the Eyelighter which involved bending PVC pipes using hot sand and an industrial fan. While the results of this DIY were really nice, not everyone wants to go through the efforts connected with bending PVC pipes. Here is an easier (though not as sturdy) alternative for building a DIY Eyelighter courtesy of Isiah Xiong. 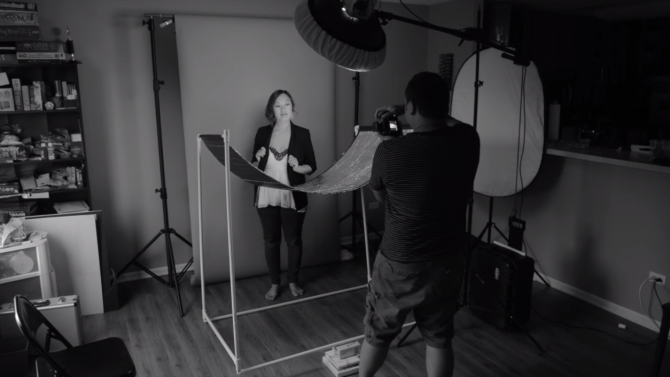 A V-flat can be a useful and versatile tool for studio photography. In this video, Spyros Heniadis gives you five easy ways to use a V-flat in the studio for all kinds of portrait shots. All you need is one or two V-flats, and some DIY magic (if you feel like it). Ring lights are a big love-hate thing in the world of photography. 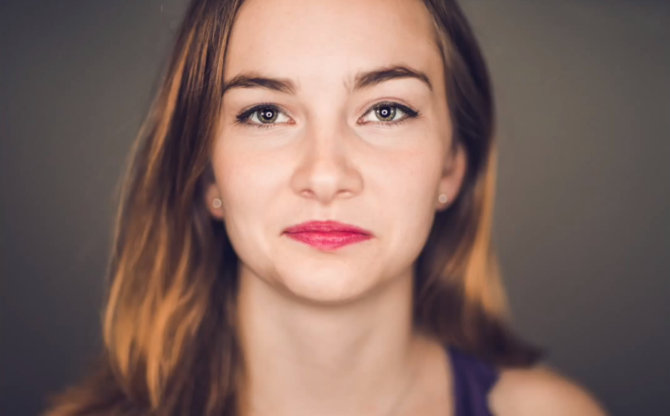 Some people are actually quite passionate about the catchlight it can present in a subject’s eyes – believing that there’s only one way to use a ring light. But ring lights can produce some wonderful light on your scene, especially when used off-camera. And that’s how this giant ring light is intended to be used. Inspired by Oscar-winning DP, Roger Deakins, Todd at Shutterstock shows us how to build our own in this video. It’s fairly straightforward to do if you’re comfortable with basic tools.